Ms Ty chicken rice is one of local favorite restaurants. Chicken Rice is so simple with a basic recipe including only rice, chicken, sauce and pickled carrots. Why Ms Ty Restaurant (Chicken rice) is special ? 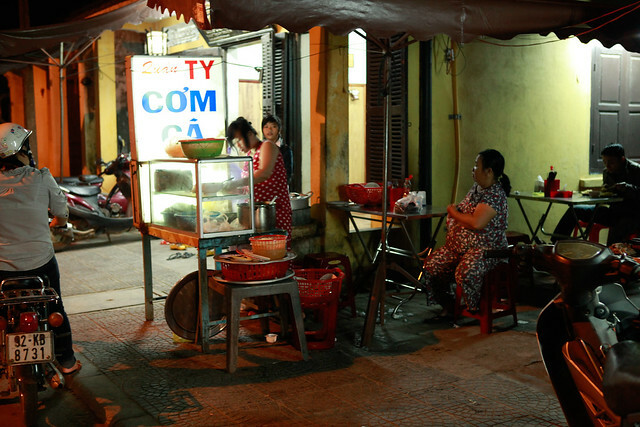 Ms Ty chicken rice is one of Hoi An’s most famous com ga joints for very good reason. There are few tourists and it is reassuringly packed with Vietnamese. Ms Tyopens daily at around 17:00 and stops serving once the pot is clean. Chicken Rice is so simple with a basic recipe including only rice, chicken, sauce and pickled carrots. 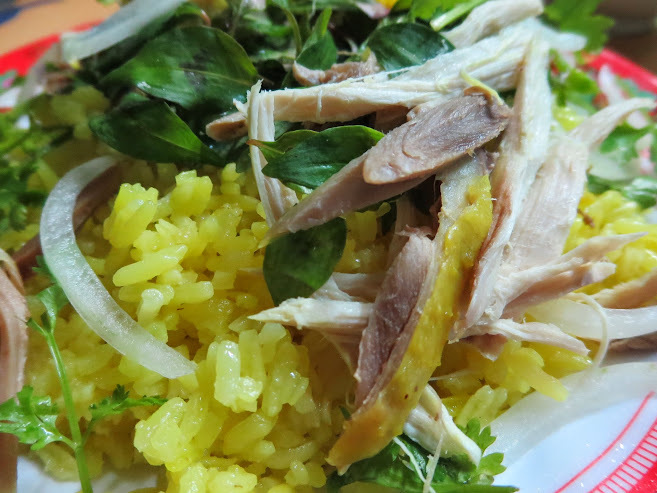 It is, however, not that easy to make an exemplary Hoi An chicken rice dish. The dish is tastefully decorated with peppermint, papaya and salted onions. The table will be set with various dipping sauces and sides – fish, chilli and jars of pickled green chillies and plates stacked with slivers of young papaya, carrot and a side bowl of clear chicken broth.